Hyatt is opening first Hyatt Regency property in Croatia. 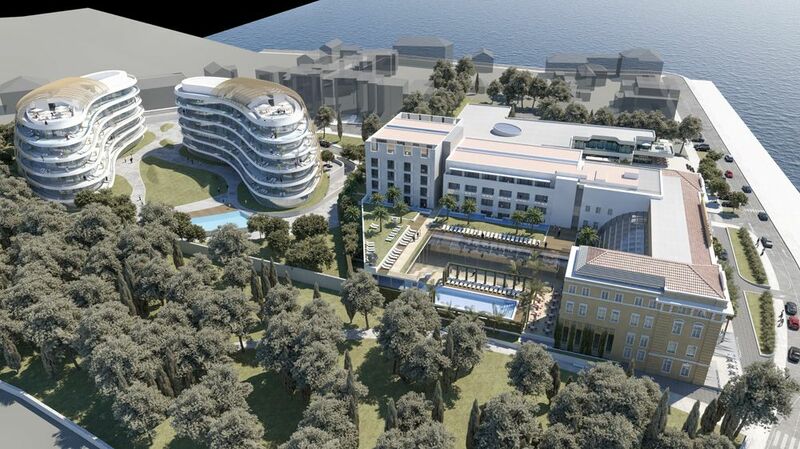 The 130-room hotel will be located in Zadar, and is scheduled to open in 2019. The hotel will be located at Zadar’s landmark Maraska building on the waterfront and will be within walking distance of the city’s famous Sea Organ, an experimental instrument that plays music through the movement of sea waves. Hyatt Regency Zadar Maraska will be a great launching pad for travelers visiting Croatia’s Dalmatian coast, the Roman and Venetian ruins, and famous national parks, including Plitvice Lakes, Zadar Archipelago and Kornati National Park. “We look forward to collaborating with the team at Dogus Croatia to open the first Hyatt Regency hotel in Croatia, and the first Hyatt-branded hotel on the Adriatic Coast,” said Peter Norman, senior vice president, acquisitions and development – Europe, Africa, and Middle East for Hyatt. Hyatt Regency Zadar Maraska will deliver on the modern expectations of today’s travelers and meeting planners. The 130-room hotel will feature authentic food and beverage offerings that will build off the Hyatt Regency brand’s history of culinary excellence. The hotel will serve as the perfect venue for a variety of events such as weddings, social banquets, exhibitions, meetings, and conferences. Additionally, the hotel will offer a fitness center, spa and an outdoor swimming pool. Hyatt Regency Zadar Maraska will add to Hyatt’s strong growth in the region, joining Hyatt Regency hotels currently open in Thessaloniki, Greece; Belgrade, Serbia; and Istanbul, Turkey.